- Closed dollar volume of $2.02 Billion. 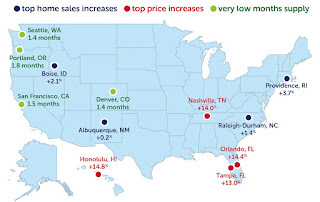 The July home market changed from June. July is now the month most popular for vacations and active listings stay on the market longer due to less focus on the home hunt and more focus on family time, birthdays, etc. 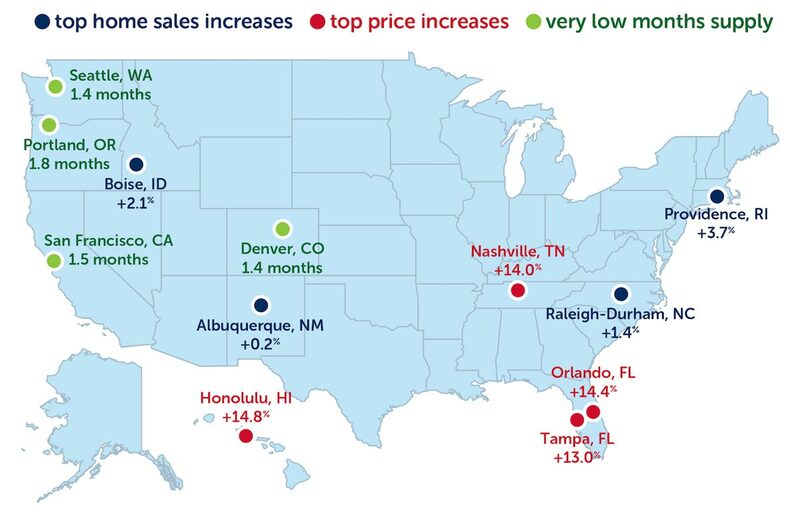 Multiple offers have slowed down and the July showings have decreased. Appraisers are now impacting closing dates. Mortgage interest rates continue to remain low. New home builders are changing their products. As always, be prepared. 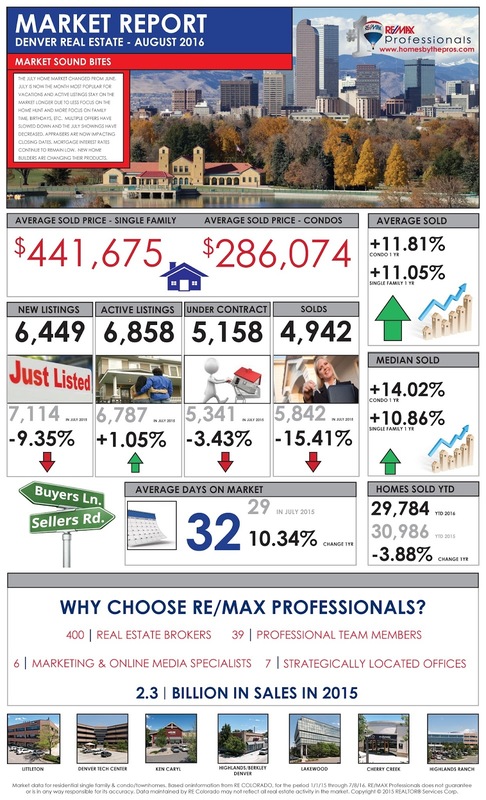 The Denver Seller’s market is showing a slowdown in July and Buyer’s were more focused on vacations and family activities. 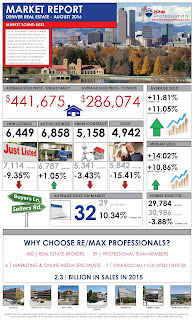 With sales slowing and the inventory of active listings reaching its seasonal peak, the Denver home market is changing. It is time as a Seller to focus on the following six (6) items: (1) stage the yard, (2) clean, clean, clean, (3) remodel or upgrade, (4) de-clutter and stage your home, (5) use professional photographs and videos, and (6) price effectively. Always remember that as a Seller you need to leave a great lasting impression on all Buyers when they are shown your home. Home builders are now changing their product line; so, this may be new competition. Seller preparation includes a good pricing comparison analysis, instructions on staging, what are the top improvements, introduction to a net sheet to understand the bottom line, and a conversation on how the market functions. As such, the homeowner looking to sell a home needs a professional who is a local expert, is hyper local market knowledgeable, and can assist in the Professional plan to sell one’s home. A review of recent articles and blogs indicate that the mortgage interest rates may increase, so Buyers should find out how much they can borrow with these proposed changes.